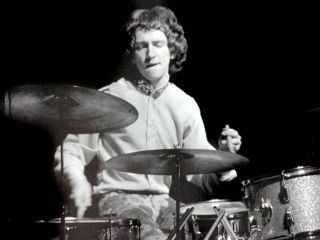 The Jimi Hendrix Experience's Fire has been voted the greatest ever track recorded by late drummer Mitch Mitchell. Mitchell passed away 12 November, and over 650 drum fans on MusicRadar have cast votes in the last few days for their favourite Mitchell track. Rock historian and writer Bob Hewitt has recently posted film of a previously-unseen interview conducted with Mitchell in 1991, the year that the drummer auctioned Jimi Hendrix's legendary white Woodstock Stratocaster. Watch the Mitch Mitchell interview. Watch Fire by the Jimi Hendrix Experience at the Royal Albert Hall.